The following is a compilation of MEMRI Special Dispatches, MEMRI TV clips, and MEMRI Facebook posts on Palestinian Authority and Fatah incitement in the past few weeks. The October 29, 2014 edition of the Palestinian Authority (PA) daily Al-Hayat Al-Jadida included a magazine supplement called Al-'Asima ("The Capital"), which was headlined "Jerusalem - The Capital of the Intifada." 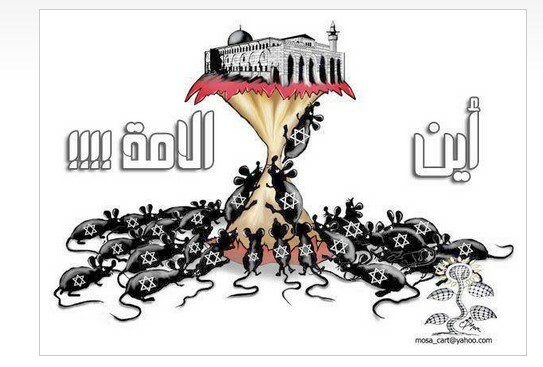 The magazine, under the general supervision of Fatah official 'Othman Abu Gharbiya, highlights PA President Mahmoud 'Abbas's call to come to Jerusalem and defend the Al-Aqsa mosque. It also features articles, columns, and news on Jerusalem, including accusations that Israel is damaging east Jerusalem's holy sites and residents. 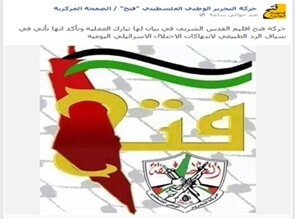 On the occasion of the 10th anniversary of the death of Yasser Arafat, and against the backdrop of the growing tension between Israel and the Palestinians, Fatah Central Committee member Marwan Al-Barghouti issued a statement from the Israeli prison where he is serving multiple life sentences for acts of terrorism that killed and wounded many Israelis. In his statement, Al-Barghouti expressed his commitment to following Yasser Arafat's path of national struggle, resistance to occupation, and the liberation of the homeland and Jerusalem. He also called upon the Palestinian people to complete the national reconciliation efforts and adhere to the option of resistance and the gun, since this is the shortest path to attaining liberty, the right of return, and independence. He added that the Palestinian leadership should formally endorse the anti-Israel boycott movement, and urged the Palestinian Authority (PA) security apparatuses to back demonstrations in support of the Palestinian uprising in Jerusalem. It should be noted that, in August 2014, during the fighting between Israel and Hamas in Gaza, Al-Barghouti published a statement criticizing the PA leadership's conduct vis-à-vis Israel and the fruitlessness of the Israeli-Palestinian negotiations, and exhorted the Fatah movement to stick to resistance as the means to end the occupation. Following the October 22, 2014 vehicular attack in Jerusalem, in which two people were killed, Palestinian factions such as Hamas, Islamic Jihad and the Popular Resistance Committees presented it as a heroic act of resistance, while the Palestinian Authority (PA) endorsed the claim of the driver's family that the incident was not a deliberate attack but a traffic accident. Moreover, an editorial in the PA daily Al-Hayat Al-Jadida claimed that Israel was presenting the incident as a terror attack, rather than an accident, in order to escalate the violence in Jerusalem and harm the Palestinian national enterprise. The following is a sampling of Palestinian reactions to the incident, and excerpts from the Al-Hayat Al-Jadida editorial. The reactions of the Palestinians, especially of the Palestinian Authority (PA) and its president, Mahmoud 'Abbas, to the recent terrorist actions in Jerusalem indicate a shift in their attitude towards terrorism against Israelis. While the June 2014 kidnapping and murder of the three Israeli teens was firmly condemned by 'Abbas, this time he and other PA officials refrained from condemning the attacks, and even sent their condolences to the families of the attackers, calling them martyrs. Some PA and Fatah officials also called the killing of the attackers a heinous crime on the part of Israel, and claimed that the attacks had been a response to Israel's actions, especially vis-à-vis the Al-Aqsa mosque, warning Israel that a big conflagration may come. 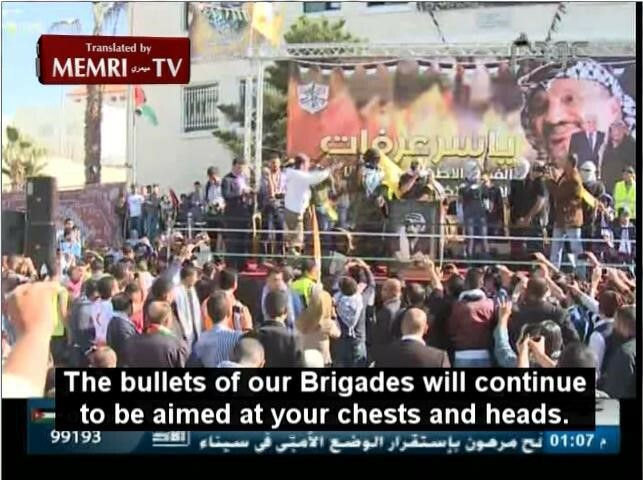 The esteem in which the attackers are held by Palestinian society is evident from an argument that broke out between Fatah and Islamic Jihad, in which each movement claimed that Mu'taz Hijazi, who had attempted to murder radical right-wing activist Yehuda Glick on October 29, 2014, had belonged to it at the time of the attack. In a November 6, 2014 interview on Palestinian Authority TV, Mahmoud Habbash, former PA minister of religious endowment, said that waging jihad for the sake of the Al-Aqsa Mosque was a duty incumbent upon every Muslim worldwide, and warned that the flames of a religious war "could reach the U.S., Washington itself, Europe, Asia, Africa, everywhere." In a sermon in Ramallah on November 7, 2014, in the presence of PA President Mahmoud Abbas, Habbash said that the battle being waged in Jerusalem is "the final phase, after which our banners will fly... over the minarets of Jerusalem, over its churches, its domes, its hills, its mountains, its alleys, and its homes." 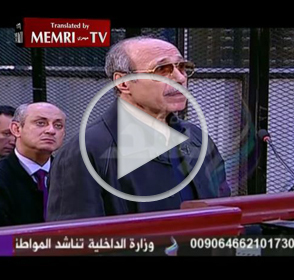 The sermon was broadcast by the PA's Awda TV channel.